Moody, AL is a small, yet fast growing city located along I-20 about 15 miles east of Birmingham. 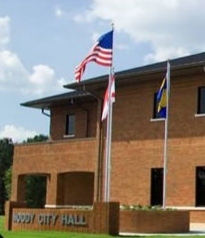 During the past ten years, the City of Moody has consistently been at or near the top of the list of the fastest growing cities in the state of Alabama. Our citizens enjoy the benefits of a small town friendly atmosphere while being in close proximity to large city amenities. Take a look at the property listings in Moody, AL and call Bonnie Hicks real estate agent for details or if you are thinking about selling your home in Moody, give Bonnie a call at 205-915-7653.